IMPORTANT: The TurnBoard PRO is designed to work only with iOS devices (iPhone, iPad & iPod Touch). The TurnBoard PRO is an advanced TurnBoard that contains built-in sensors and connects to your iPhone through Bluetooth. 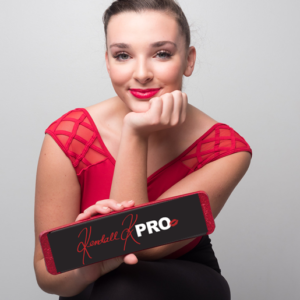 The TurnBoard PRO comes with a FREE downloadable app, and the app measures the dancer’s turns, speed, and overall form. As you turn on the TurnBoard PRO, the app automatically calculates your personal Turn Score. Turn Scores range from 1 (Rookie) to 1,000 (World Class). The better the turns, the higher the score! Learn with instant feedback and track your improvement from week to week. Compete with friends, share your Turn Score, and watch your turns improve! 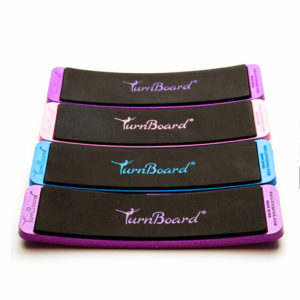 The TurnBoard PRO helps dancers analyze and improve their turns. Connect. Turn. Learn. What’s your Turn Score? Proper ballet turning requires focused spotting, a strong core, and correct arm placement. The Official TurnBoard was designed to have very little friction, which allows dancers to concentrate on the individual components of turning, with the option of rising to relevé. The skills learned from using the TurnBoard lead to better and increased turns, even when turning without the TurnBoard. Experience the sensation of doing additional turns, and gain confidence as your turns improve.